Last night saw the final games of the 11th Round and the start of a four week break which will give the Olympic team plenty of time to prepare for the U23 AFC Championship next month. After a completely shambolic season in 2016/17 Shabab Al-Khaleel are back with Olympic Team goalkeeper Naim Abu Aker and national team captain Abdelatif Bahdari marshalling the team from the back. A lack of goals will concern to their fans going forward. 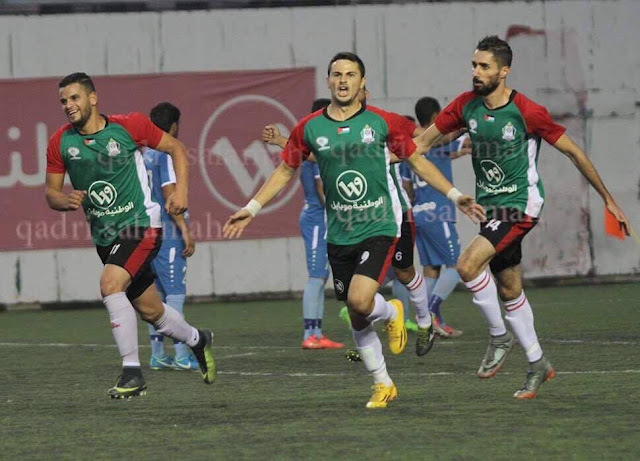 Things will have to be tweaked with creative talisman, Mahmoud Abu Warda going back to his parent club, Merkaz Balata, at the turn of the new year. 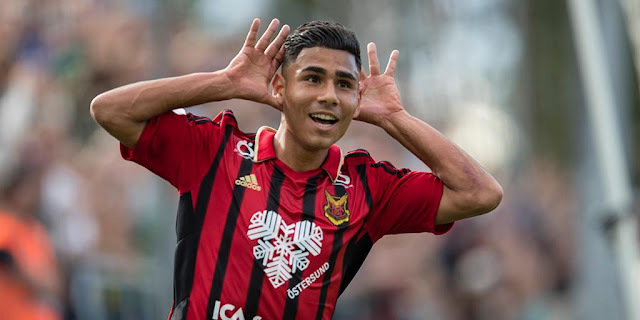 If goals are to become a more regular occurrence look for youngster Mahmoud Yousef to provide them, he leads the team in scoring with three goals along Fahed Attal and Shaher Al-Taweel. The surprise of the season is far and away the newly promoted Jabal Al-Mukaber. After winning the league the year before the rebrand in 2009/10 the Mount Scopus side suffered relegation in 2014/15. A return to the top flight this year was welcomed by league traditionalists but few could have predicted this. Jabal Al-Mukaber's rise has been fueled by two smart purchases. They brought back Haitham Dheeb who had played for the club before his stints at Hilal Al-Quds and Shabab Al-Khaleel and nabbed the underrated Ayman Kharbat. They may not be the best defensive side but Dheeb has been imperious in three 1-0 wins and a fourth shutout victory. More often than not, though, Jabal Al-Mukaber has relied on Kharbat's fantastic form. The half Romanian, former Cluj youth player, has a league leading eight goals this year to go along with five assists. If there's one thing about the WBPL that can be nearly guaranteed it's the massive drop off that the defending champion suffers after lifting the title. WBPL holders finish an average of 15 points off the pace each season- the outlier in this example was the Shabab Al-Dhahrieh side that pushed Taraji Wadi Al-Nes to the brink in 2013/14. This year, though things might just be different for Hilal Al-Quds who haven't fired on all cylinders in the first half of the season but the team has strengthened in key areas. Rami Hamadi's form has helped the side stay in the race and with six clean sheets, and three in the last three matches, Hilal has brought time to figure things out. If anything, they should be capable of at least beating Al-Suwaiq and putting together a good performance in the AFC Cup group stage. 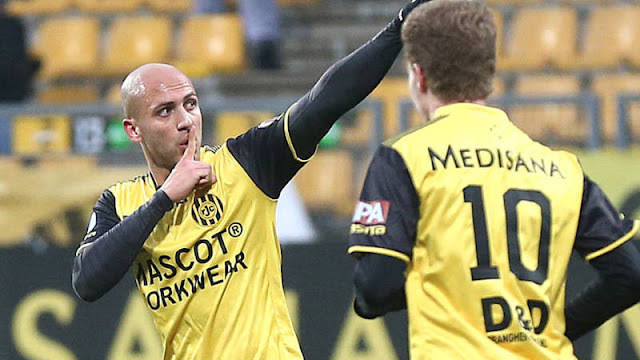 If there has been one thing guaranteed by Ahli Al-Khaleel this season it has been their ability to score goals. They have scored a league high 26 in including a nine goal outburst against the hapless Shabab Dora. 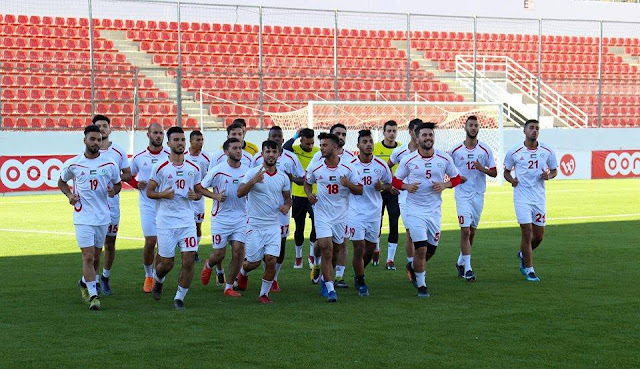 Over the course of the season, Ahli Al-Khaleel have failed to score just once- on the opening day of the season in a 0-0 draw against the notoriously stingy Thaqafi Tulkarem. There is no shortage of attacking weapons in the side, Abdallah Jaber and Musab Al-Battat bomb forward from defensive positions, while the Maraaba brothers have added five goals a piece. With club mainstay Khaldoun Al-Halman enjoying something of a revitalization (he's the second top scorer in the league with seven goals) and with the immensely talented Islam Batran back from his stint in Egypt the sky is truly the limit. 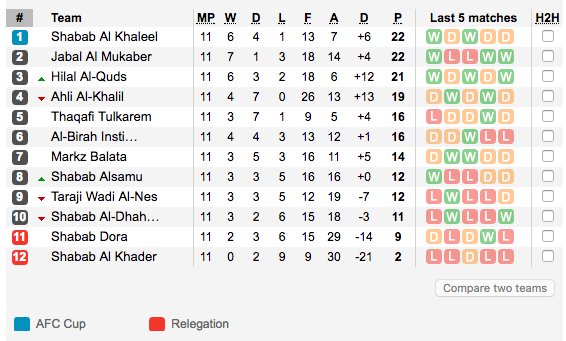 It is important to note that Ahli is the only team in the league with a zero in the loss column but their downfall has been an inability to hold onto a result. Of their league leading seven draws, Ahli Al-Khaleel have thrown points from winning positions on five occasions. They will need to address that in the second phase of league play if they are to overcome the three point gap and the three other contenders ahead of them.